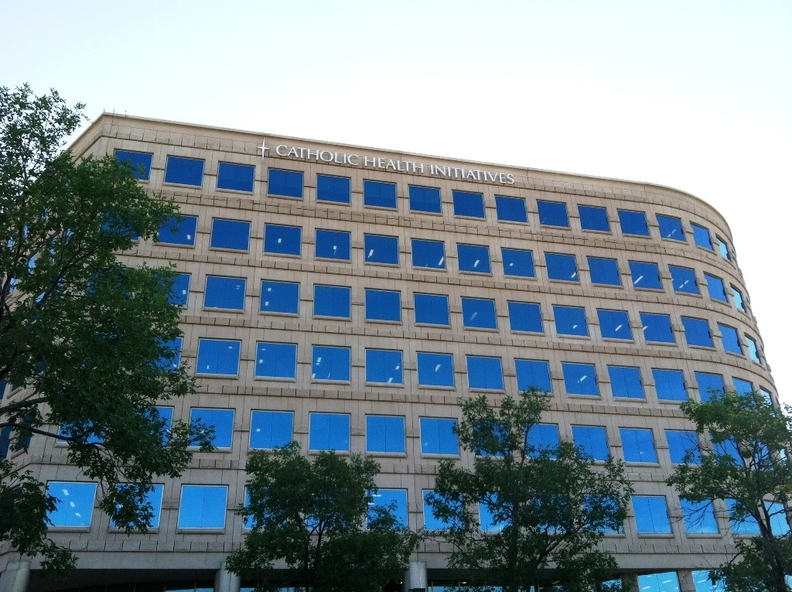 Catholic Health Initiatives' top executives have had a turnaround glow in recent conversations, and were almost giddy as they talked up their next earnings report with employees, investors and journalists. "We were telling folks in the second half of '17, 'Just stay with us. We know it's hard to see. We know it's complicated,'" Dean Swindle, CHI's president for enterprise business lines and chief financial officer, told Modern Healthcare in January. Catholic Health Initiatives said a restructuring that's been years in the making is now paying off. The not-for-profit almost broke even in its latest earnings release, following years of steep losses. It's clear why. Last week's earnings release showed some results—namely lower expenses and increased revenue per admission—that are relatively rare in today's hospital environment. More importantly, Englewood, Colo.-based CHI just about broke even in the second quarter of its fiscal 2018, posting an operating loss of only $1.5 million, compared with a $146 million hit in the previous year's period. At the same time, revenue over expenses shot up to nearly $216 million, compared with a $25 million deficit a year ago. The not-for-profit system has suffered years of steep operating losses—topping out at $585 million in fiscal 2017—stemming from a spate of hospital purchases, not all of which turned out to be good moves, and an ill-fated foray into the insurance business. But now, CHI's leaders say they're finally seeing the payoff from years of performance improvement work targeted largely at labor and supply costs. The system is shedding its struggling Kentucky hospitals, has transferred most of its stake in an Ohio hospital that's now slated to close, and is trying to sell its health plan operation. All while it's preparing to unite with Dignity Health to create the country's largest not-for-profit hospital system by revenue. CHI's operating expenses decreased slightly in the first half of its fiscal 2018, a time when many systems' expenses are going the opposite direction. The decline was mostly from doling out less for salaries and benefits—partly due to having about 2,000 fewer full-time positions. "Quite honestly the organization I think feels confident that we're seeing the results from the tough decisions we've made," Swindle said last week, "and we'll build off that." Part of what has bogged CHI down is its massive, nearly $2 billion spending spree years ago when it bought hospitals in Kentucky, Nebraska and Texas and an insurer to boot. Back then, CHI had 240 days cash on hand. As of Dec. 31, it had 155, a sharply different financial situation. "One thing we have to acknowledge and admit is we've come down a long way," CHI CEO Kevin Lofton said in an interview last month. CHI ran into multiple problems with those acquisitions—a cool reception in Texas, poor relations with partners in Kentucky and losing a Blue Cross contract in Nebraska—that ultimately made them difficult to assimilate, said Kevin Holloran, a sector leader in Fitch Ratings' not-for-profit hospital and healthcare group. "Buying something is one thing, incorporating it into the larger system is another," he said. "I think CHI had a particular problem in that they historically didn't operate as one CHI. They operated as a bunch of separate markets." Lofton said CHI has since worked to create "super regionals," building out the system's big hospital hubs and shedding hospitals in markets where CHI isn't competitive. The system has 35 fewer hospitals in seven fewer states today compared with when it started in 1996. Holloran said he thinks that tactic is a good one. "Culturally, I think what you saw CHI start to evolve from is a loose federation of smaller health systems, if you will, and they're trying to become—and on their way to becoming—more truly a one CHI health system," he said. Texas remains one of the system's biggest problem areas, Lofton said. CHI acquired St. Luke's Episcopal Health System in Houston in 2013, but has struggled to create an integrated system there. Operations in Ohio should improve after CHI shifted most of its ownership stake in Good Samaritan Hospital in Dayton to Premier Health Partners last month. Premier announced shortly afterward that it plans to close the facility by the end of the year. It's not just money-losing hospitals that have been dragging down CHI's financial situation, it's also been the high price tag of an aggressive turnaround effort, Swindle said. The undertaking cost roughly $374 million in 2017 alone, mostly one-time expenses like severance packages, consulting fees and costs related to contract changes. That all took a $30 million bite out of CHI's budget during the first half of fiscal 2018, compared with $121 million during the same period in 2017. At least one sore spot CHI feels along with everyone else: admissions. Utilization was down in almost every category in CHI's latest release, but the steepest drops were in acute admissions and inpatient days. The system managed to increase its revenue per admission by 4%, however, leading to a net increase in patient revenue. Lofton said the system has spent years trying to get ahead of the shift in demand away from hospitals. In 2010, leadership set a goal of limiting acute care to 35% of revenue by 2020. Instead, the system would add easy access points that patients wanted, like free-standing ERs and ambulatory surgery centers. "That's a bold move to put out there, because, as you know, inpatient care is how the bulk of most systems earn their revenue," Lofton said. It's unclear whether that's working. Outpatient visits fell by about 2,400 visits over the past eight quarters, according to CHI's latest earnings release. The Dignity merger, expected to close by year-end, will place CHI in a more solid financial position, Fitch Ratings said last month as it took CHI off its watch list and affirmed its BBB+ rating. The merger will cost money initially, but Lofton estimates by year two it will save at least $500 million over the next two to three years through fewer redundancies. One mistake CHI is determined not to make again: focusing too much attention nationally. Today, most day-to-day decisions are still made in local markets as the system redirects its attention to competing regionally, Swindle said. "We had maybe shifted a little too much nationally," he said. "Decisions kind of got bogged down."